Evening lovelies! Its that time again. These weeks are flying by at the minute! Here are my 3 picks for this week. Hope you like! 3. This little beauty came as a shocker to me. It is the kind of piece you’d expect to find somewhere like Topshop, or maybe H&M, but no. 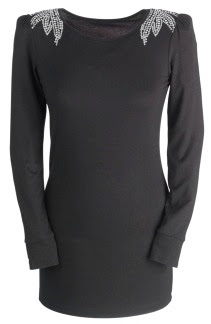 I bet you wouldn’t even be able to guess where this gorgeous long sleeved tee with embellished shoulders is from. Give up? ……Tesco. Yes thats right. TESCO. I couldn’t believe my eyes when I spotted it in the local Tesco Home store the other day. That’s not the only surprise. The other is the price. You’d think that something embellished like this, designed for party season, would come in at around £20.00. At the least. But no. This will only use £12.00 from your hard earned cash. This may explain the lack of size range on the website. Obviously a best seller at the moment. If your lucky enough to find your size available, or simply want to drool and hope that it may come back in stock, then you can find it HERE. 2. This is a funny one for me. I really can’t decide whether I love it or hate it, but for some reason I’m drawn to it. I think its one of those where you can either look really great, or look like an old tribeswoman…or something. 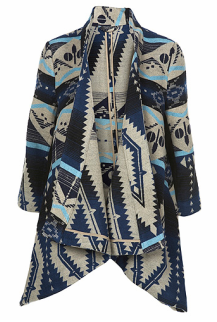 Its available at good old Topshop for £65.00. I imagine it would go with something really simple and chic, maybe some skin tight black jeans, a white tee, and some black platform shoe boots. Team it with a big slouchy boho bag to keep it low key. This would be so easy to over do, but again, there’s a lack of sizes left on the site, so it must be a winner! Find it HERE. 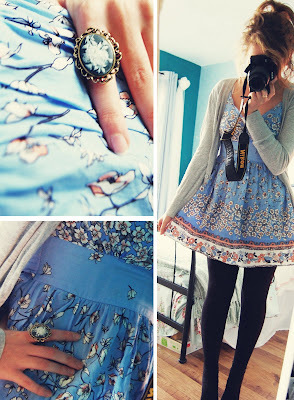 If you want to see other looks then take a peek at my Lookbook page by clicking the badge on the right sidebar. That is all from me tonight. I think its time for a cup of tea and some yummy food.